Between 16 to 20 years. Completed 10+2 with Physics, Chemistry, English and Mathematics as the subjects with minimum 45% marks (40% for SC/ST). 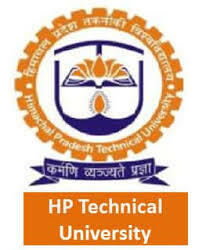 Himachal Pradesh Technical University (HPTU) has relesed the HPCET 2019 Apllication form from 8th March 2019 on the official website of the HPTU i.e. himtu.ac.in. Before filling the online HPCET 2019 Application Form, candidates should go through the Eligibility criteria as the HPCET 2019 criteria includes certain parameters like Nationality, Age, Qualification, Marks in qualified exam, Domicial etc. The Eligibility Criteria for HPCET 2019 is described below. Instruction: The aspiring candidates willing to apply for HPCET 2019 are advised to go through the HPCET 2019 eligibility criteria set by the HPCET examining authority (HPTU). Note: Those who want to get enrolled in the upcoming test must meet the HPCET 2019 eligibility criteria in order to apply for the test. Nationality: The interested HPCET 2019 applicants must possess citizenship of India and Domicile of Himachal Pradesh to satisfy the HPCET 2019 eligibility criteria. Basic Educational Qualification: The Applicants of HPCET 2019 must have passed his/her 12th examination from any recognized school or University of Himachal Pradesh state to satisfy the HPCET 2019 eligibility criteria. Age limit: Age of Applicants must be between 16 years to 20 years as per the HPCET 2019 eligibility criteria. The candidate must be passed/appeared 10+2 or equivalent examination from a recognized Board or University with Physics and Mathematics as compulsory subjects along with one of the Chemistry/Biotechnology/Biology/ Technical Vocational subjects securing at least 45% marks (40% for reserved category) in the above subjects taken together. The candidate must be passed/appeared 10+2 or equivalent examination from a recognized Board or University with Physics and Chemistry as compulsory subjects along with one of the Mathematics/Biotechnology/Biology/Technical Vocational subject securing at least 45% marks (40% reserved category) in the above subjects taken together. Provided that a student should complete the age of 17 years on or before 31st December of the year of admission to the course. The candidate must be passed/appeared 10+2 or equivalent examination from a recognized Board or University with Physics, Chemistry and Biology as compulsory subjects securing at least 45% marks (40% for reserved category) in the above subjects taken together. The candidate must be passed/appeared bachelor‘s degree (BE/B.Tech) in Engineering/ Technology or equivalent from recognized University in the relevant field of Engineering/Technology securing at least 50% marks (45% for reserved category) at the qualifying examination. The candidate must be passed/appeared in bachelor degree in Pharmacy or equivalent from recognized University securing at least 50% marks (45% for reserved category) at the qualifying examination. The candidate must be passed/appeared bachelor's degree or equivalent from recognized University with minimum three years duration and Mathematics at 10+2 level or at degree level securing at least 50% marks (45% for reserved category) at the qualifying examination. Education Qualification required for the exam? There are different qualification required for different courses. Follow the link to know more and detailed eligibility criteria. I am going to be 20 years old just after the exam date. Am i eligible? Yes, You are eligible, you can apply for the exam. Follow the link to know more and detailed eligibility criteria. What is the eligibility for the HPCET 2017? Age Limit: Candidates must be between 16 to 20 years of age. The Applicants must have passed his/her 12th examination from any recognized school or University of Himachal Pradesh state to satisfy the HPCET eligibility criteria. The Applicants must have passed 10+2 with Physics, Chemistry, English and Mathematics as their subjects. The Applicants falling in the reserved category (SC/ST) must hold a minimum score of 40% marks in 10+2 to satisfy the HPCET eligibility criteria. Nationality: The candidates should be aa citizen of India and domicile of Himachal Pradesh to satisfy the eligibility criteria. What is the Age limit for applying HPCET 2017? The Age of Applicants must be between 16 years to 20 years as per the HPCET eligibility criteria.